Murder and Assassinations are illegal under the US constitution, but that doesn't stop Obama killing 16-year-old Americans without explanation. Of all the promises made by candidate Barack Obama, it was his promise to end the lawlessness of the Bush years by closing Guantanamo, ending torture and restoring the United States’ reputation for justice that got me out in the streets and knocking on doors. And it is President Obama’s failure to keep these promises that makes it impossible for me to support him again. President Bush’s foreign policy was roundly criticized by most of the world and by candidate Obama. 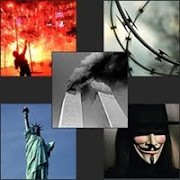 Following 9/11, Bush’s foreign policy was simple: If my administration decides that you are a terrorist or a terrorist supporter, we reserve the right to invade and occupy your country, kill you or send you halfway around the world to a prison camp. To implement this policy, administration lawyers wrote memos making it all legal for their masters. First, Bush’s lawyers declared that the one-sentence “Authorization for Use of Military Force” enacted by a frightened Congress one week after September 11, 2001, authorized undeclared wars and the mass incarceration of terror suspects. One of these memos, authored by Office of Legal Councel attorney Jay Bybee, included a convenient section called “Interpretation to Avoid Constitutional Problems.” Bush’s lawyers also wrote memos authorizing the incarceration of U.S. citizens suspected of terror links without charge or trial. But here the Supreme Court drew the line. In the case of U.S. citizen Yaser Hamdi, a terror-suspect born in Louisiana, raised in Saudi Arabia, captured in Afghanistan and sent to Guantanamo, government lawyers argued that it would be “constitutionally intolerable” to require the government to submit any evidence to support its claim that Hamdi is a terrorist. The Supreme Court disagreed. While the court permitted the government to strip Hamdi of most of his constitutional rights, it nevertheless ordered the government to give Hamdi a hearing at which it must present some minimal amount of evidence. But because the government had no evidence that Hamdi was a terrorist, it sent him back to Saudi Arabia—on the condition that he renounced his citizenship. Obama has carried on where Bush left off. Realizing that captured American-born terror suspects must be given a hearing, Obama decided it would be more convenient to kill them. And he asked the lawyers at the Office of Legal Counsel to write memos stating that killing Anwar al-Awlaki, the American-born Muslim cleric living in Yemen, would not violate the Constitution or federal statutes banning murder and assassinations. Once again, the lawyers set aside the most fundamental rules of legal ethics to serve their master. The Obama administration has not released these assassination memos, but it did leak an outline of the memos’ legal reasoning to the New York Times. Their analysis is every bit as shoddy as that found in the torture memos. Obama’s lawyers concluded that the administration could legally kill al-Awlaki so long as the CIA says he is playing an operational role in al-Qaeda and that it was not feasible to capture him. The lawyers don’t actually analyze any of the evidence against al-Awlaki—they just declare that Obama may accept the word of the CIA, which is able to bury evidence so it can never be second-guessed. Al-Awlaki was killed September 30 by a drone strike in Yemen. Presumably his executioner was a CIA agent rather than a soldier in uniform, but the Obama lawyers said that this would also be lawful. The drone strike also killed a second American named Samir Khan, who had produced a jihadist web magazine titled Inspire. Two weeks after killing al-Awlaki and Khan, the administration used its newfound powers to kill another American: al-Awlaki’s 16-year-old son, Abdulrahman al-Awlaki. This strike also killed eight other human beings. As of this writing, the administration has not come forward with any explanation for the killing of the American juvenile or his companions. Presumably, an unprincipled government lawyer is at work on the justification memo right now.